Mark_LifeBeginsAt20 had the most liked content! Thank you, I'm glad to hear it! There certainly will be more of these to come, challenger decks, pauper cube and more. Plus trying to bump up the production value each time too! MTG Challenger Decks Gameplay Second Sun Control v Counter Surge Loads of people have been asking for gameplay so here is the first one I've worked on as a collaboration with TOTALmtg! This was so much fun to film and edit! There are some technical aspects to improve for the future ones I end up doing, but overall I'm pretty proud of the initial result. Magic: the Gathering have brought out some great challenger decks to get people into the standard format at a low cost price. Today we take two of these decks for run and see how they perform! Get ready for Second Sun Control v Counter Surge - who do you think will come out on top? If you enjoyed the video and want to see more of this content, hit that like button to show us how much you do! If we can get over 200 likes we will make another one! Also let us know in the comments section what you think about these mtg challenger decks and if you enjoyed the gameplay style. Really would love to hear from you all! The problem seems to be getting worse where players are losing games/matches in sanctioned events due to cards visible warping even when double sleeved and being able to tell where in the deck the card is. Round 12 of a GP this weekend was one of the incidents I noticed over the weekend. It's just not good enough really - players shouldn't get penalised for wotc's issue. GP London 2018 Recap - My First Ever MTG Grand Prix!! So I got to go to my first ever MTG Grand Prix here at GP London! Thanks again to Channel Fireball inviting me down to the event. I had a great time there and learnt a lot about myself. So here is a recap of my experience over the weekend! Let me know in the comments section below whether you enjoyed this style of video and if you'd like to see more footage at future GP's and Events! The more you like the video the more I'll know it's something that you've enjoyed! I know I'm biased looking at it from a cube point of view, but this 2/1 for 1 in black with very little downside is my favourite card from the set - straight into my pauper cube! Plus what a hat! Tried something a little different, would love some feedback! Thank you both! It was really fun to make and I'm attempting to take the visuals of the channel higher too. ManCaveMTG - I think I've answered you elsewhere but it's premiere for editinb and after effects for the graphics. Help me Build my first Cube ~ The UNcUBE!!! Rivals of Ixalan Prerelease is just around the corner and Wizards of the Coast have kindly sent me a prerelease kit to open up on the channel for you all! In this video there will be a prerelease guide for the day and deck building tips for you all. Plus I'll build a deck from the rivals of ixalan sealed pool I open up and there will be a deck tech for it at the end! Let me know in the comments section below if you're going to pre-release this weekend. Are there any cards that you're hoping to open up? And if you are watching this after prerelease, let me know how you got on! I've tried out a new style with the video, let me know if you enjoyed those elements! I have learnt a lot and certainly need to purchase more kit if I want to do more of this in the future. Thank you all for watching! 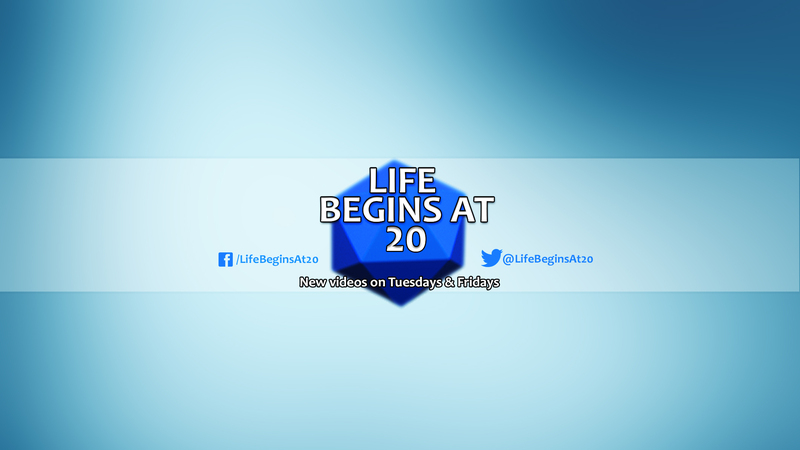 Life Begins At 20 Christmas 2017 MTG Giveaway!! Limited Edition Prize! What size should YOUR cube be? What size should my mtg cube be? This is a question I've head a lot since starting the channel. With so many different drafting types and sealed options, Magic: the Gathering cube sizes can differ massively! So in this video we talk about how you can decide how big you want to make your cube and why your playgroup and gameplay choices help to make this decision. I wasn't saying it was, I was just saying while shadow is a pretty powerful mechanic in cube, cards like gitaxian probe and others mentioned are also just as powerful. So an update to this project is here: http://www.cubetutor.com/visualspoiler/92863 Whilst this is currently an initial iteration of the cube at a size that may well still be a little large, it gives us scope to try out cards and see how they perform before making changes as we go. I wanted to make sure that each of the guild colours matched what I see as the theme for them, whilst also making sure that the mana curve is low overall due to the sheer amount of removal available in the pauper format. The one attribute I'm not 100% sure on is the shadow mechanic, but with the likes of coalition honor guard, standard bearer, gitaxian probe, whispersilk cloak and so on in the cube I don't have a problem with it as everyone pretty much has a way to deal with those cards. I'll lay down the overall layout of the cube in a further video and explain everything fully there. Thanks for reading and feel free to give it a draft!